Often foreigners in Japan are complimented on how they use chopsticks. Many, however, are not actually using them properly. Then again, neither are most Japanese people. Go figure. As we reported in 2012, only 30 percent of Japanese people in their 40s and 50s hold chopsticks correctly. Each year, that number gets smaller and smaller. But can you spot the proper way to hold chopsticks? In the picture below you can see all these different ways of holding chopsticks in Japan, but only one way is the right way. Can you tell which? So, while the number of people who use chopsticks correctly might be lower than you’d think, it is still a sign of good manners. Using them incorrectly is a sign of bad manners—and even, oh dear, poor upbringing. That’s why when Japanese celebrities appear on food shows and hold their chopsticks in a horribly incorrect or even odd manner, they are often mocked online. Hold one chopstick, like so, with your pointer, middle finger, and thumb. You should be able to move the chopstick up and down. Not like this. This is wrong. Don’t move your thumb around! This is correct. Notice how only the pointer, the middle finger and the chopstick are moving? With practice, you should be able to move the chopstick-like so. Also, if you work on your peace sign and thumbs up, you should be able to master them, too! For the second chopstick, you hold it like this between your thumb and your palm. This chopstick does not move while being used. And, as the text points out, this is the correct way to use chopsticks! But if you do want to use them correctly and don’t already, the above walkthrough should prove helpful. 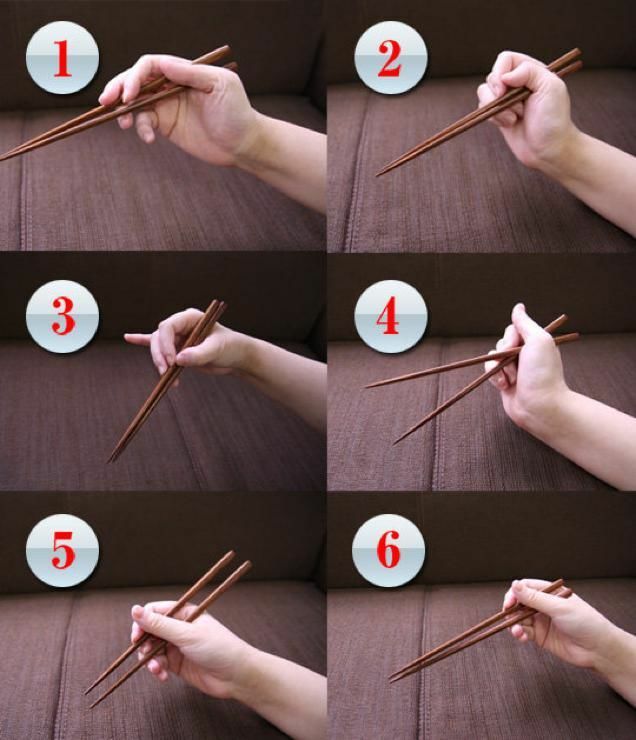 *Number 6 shows the correct way to hold chopsticks. At YourBento, we believe all things are kept simple. Thinking inside the box, the bento box that is…is making food we love, and doing it the right way. It’s mastering our craft-cultivating bold, flavourful Japanese fare that our customers look forward to. Sign up with us to receive emails on new product arrivals & special offers.